Pripyat stalkers. Who are they? What do stalkers take with them? Wildlife thrives in the Chernobyl exclusion zone. BASE jumping fans settled in Chernobyl. Puppies or Mutants? 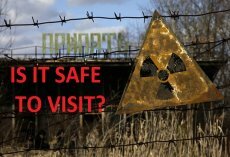 Would You Adopt a Dog from Chernobyl? Industrialization or Economics? What Will Happen to the Reserve?